Michael Shadiack is the Chair of Connell Foley’s Labor and Employment Practice Group. Representing a broad spectrum of employers and management personnel in the private and public sectors, he provides litigation defense and dispute resolution, as well as preventive compliance counseling and training. “The ART of advocacy,” Michael’s motto, is a nod to his approachability, responsiveness and trustworthiness in the full range of employment services he provides. His diverse client base includes: privately owned and operated businesses; international, national and regional corporations; nonprofit organizations; higher education institutions; municipalities; public agencies; multi-employer trade associations; and commercial employment practice liability insurance firms. Michael partners with management personnel to provide guidance and solutions on the many issues and challenges facing employers, including: employee hiring, disciplining, and discharging; wage and hour compliance; management of employee medical leaves of absence and workplace accommodations; implementation of strategies to avoid and respond to workplace harassment and discrimination; whistleblower retaliation; drug and alcohol testing; personnel file management and recordkeeping; reductions in force; performance evaluations; and preparation of separation and release agreements, and noncompetition agreements. 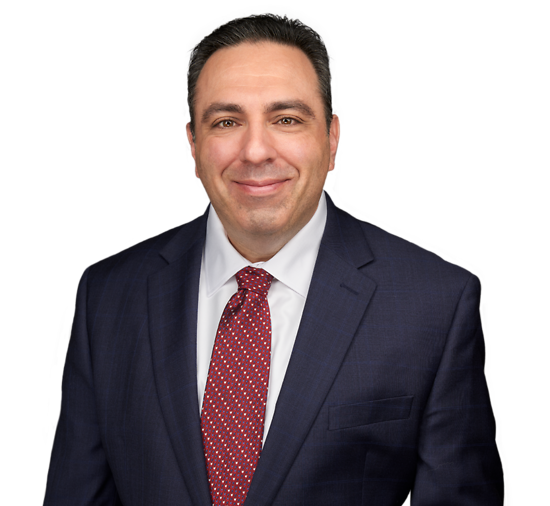 Michael has an outstanding track record of successful outcomes as lead counsel on behalf of employers in all aspects of litigation in state and federal courts, before state and federal administrative agencies and in arbitration and mediation proceedings. Michael also provides employers with practical, comprehensive and preventive recommendations on substantive personnel and benefit issues to ensure compliance with current statutory and common law requirements. His services are customized to the client’s industry, locale, workforce and business practices. His cost-effective, on-site training programs on all aspects of employment law encompass workplace harassment prevention, managing employee leaves of absence, hiring and firing best practices and procedures, avoiding retaliation and discrimination in the workplace, employee discipline, performance evaluation best practices and social media in the workplace. He is a highly sought-after and featured presenter to human resources and management representatives, as well as in-house counsel, regarding these important human resources topics, and the steps employers can take to avoid or reduce the risks of litigation. As a significant component of Michael’s preventative counseling, he drafts and updates employee handbooks to accomplish four primary objectives: (1) clear communication with employees; (2) administrative efficiency; (3) best employment practices to avoid or minimize workplace disputes; and (4) proactive measures addressing changes in laws, liability trends and business climate. Michael also represents employers during contract and grievance arbitrations and collective bargaining negotiations, defends against unfair labor practice charges, prosecutes employee disciplinary appeal hearings, and assists employers with NLRA and New Jersey Public Employment Relations Commission compliance to avoid administrative charges. claims of workplace harassment, discrimination, wrongful termination, whistleblower retaliation, reasonable accommodation, breach of contract, civil rights, non-competition violations, minority shareholder oppression, assault and battery, intentional infliction of emotional distress, protected concerted activity, and wage and hour. Mr. Shadiack has also effectively and efficiently resolved lawsuits and administrative charges, consistent with the employer’s strategic objectives. Employment Law Training: Mr. Shadiack provides practical and cost-effective training on all aspects of employment law, including workplace harassment prevention, managing leaves of absence, hiring and firing best practices and procedures, avoiding retaliation and discrimination in the workplace, employee discipline, performance evaluation best practices, employment at-will, and formulating practical personnel policies and employee handbooks. Mr. Shadiack tailors the training session to the employer’s industry and workforce. Employee Handbooks: Mr. Shadiack prepares comprehensive and practical employee handbooks, which are customized to each employer’s specific business practices and number of employees. Mr. Shadiack periodically reviews and updates our clients’ employee handbooks to ensure their continued compliance with the ever-changing and complex federal and state employment laws. Mr. Shadiack drafts/updates each employee handbook to accomplish four main objectives: (1) clear communication with employees (2) administrative efficiency (3) best employment practices to avoid or minimize workplace disputes and (4) proactive measures addressing changes in laws, liability trends, and business climate. He frequently serves as a featured presenter to human resources and management representatives as well as in-house counsel regarding the importance of employee handbooks and drafting techniques. Union-Management Relations: Mr. Shadiack represents employers during contract and grievance arbitrations and collective bargaining negotiations, defends unfair labor practice charges, prosecutes employee disciplinary appeal hearings, and advises employers on NLRA and NJPERC compliance to avoid administrative charges. CLE Seminar Materials – Prepared written materials analyzing relevant state and federal executive and judicial authority as applies to Project Labor Agreements in the construction industry and detailing employment law torts and non-discrimination causes of action. Presenter, “Designing an Effective Workplace Harassment Prevention Training Program,” New Jersey Business & Industry Association (July 2016). Featured Speaker, “Avoiding the Wage and Hour Trap: Correctly Classifying Workers," New Jersey Business & Industry Association (March 2013). Michael Shadiack Quoted in IAWatch Weekly Briefing on “How to Banish a Bad Actor"
Corporate LiveWire, Expert Guide, Labour & Employment Law features Michael Shadiack's Article "Employee Handbooks: Three Main Objectives for Employers." Michael Shadiack Presents "Paid sick leave: six months later how has your company complied?" Business for Breakfast Program: "Avoiding Workplace Harassment and Potential Personal Liability"
Quoted, "NJ Limits On Harassment NDAs Could Crush Burdened Courts"
Quoted, "Take Control of Your Workers Comp and Employee Leave Programs"
Quoted, "Is NJ's Paid Sick Leave Law Killing Off PTO Policies"
Quoted, "3 Questions Employers Ask About Paid Sick Leave"
Quoted, "The Most Important Part of Your Employee Handbook"
Quoted, "As Sick Leave Law Debuts, Confusion Remains on Finer Points"
Quoted, "Three Things You Need to Address in Your Employee Handbook"
Quoted, "How to Protect Your Company’s Reputation When Employees Misuse Social Media"
Featured, "Four Phrases That Should Never Be in Your Employee Handbook (and What to Say Instead)"
Featured, "One Book Can Make or Break a Company"
Featured, "What Employers Should Do to Prevent Sexual Harassment in the Workplace"
Featured, "Employers Continue to Ask Illegal Questions in Job Interviews, Survey Says"
Featured, "Four Essentials for Documenting an Employee’s Poor Work Performance"
Featured, "Should You Check a Job Applicant’s Social Media before Hiring Them?" Featured, "The Importance of Employee Handbooks"
Co-author, “Background Checks: Recent Developments and Practical Considerations"
Co-author, "LAD Amendment Prohibits Retaliation for Sharing Compensation Information, ‘How Much Do You Make?' Is No Longer A Forbidden Question"
Author, "Employee Handbooks: Three Main Objectives for Employers"
Author, "Employee Handbooks: Hot Tips for Employers to Maximize the Benefits and Avoid Common Drafting Errors"
Author, "Limiting Risk From Lawsuits and Government Investigations"
Featured, "The Perils of Misclassification"
Co-author, "Pension Plan Withdrawal Liability: A Primer"
Co-author, "Employees Now Protected Against Retaliation For Merely Requesting FMLA Leave"
Author, "The Exclusive Remedy Provision Under New Jersey Workers' Compensation Act"
Legal Author, "Quantum Frontline Supervisor"
Author, "Torts - Act of God - Does a Golf Course Owner and/or Operator Owe a Duty of Care to Their Patrons to Protect Them from Lightning Strikes?"